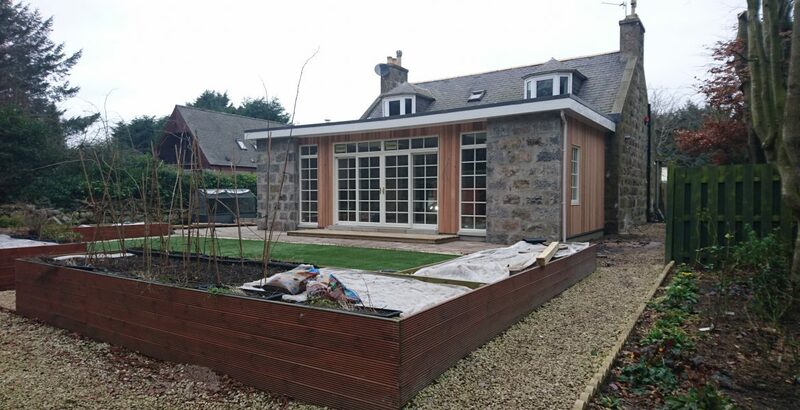 After carrying out some extensive research the client decided to appoint McGregor Garrow Architects to design an extension to their unique granite built house. 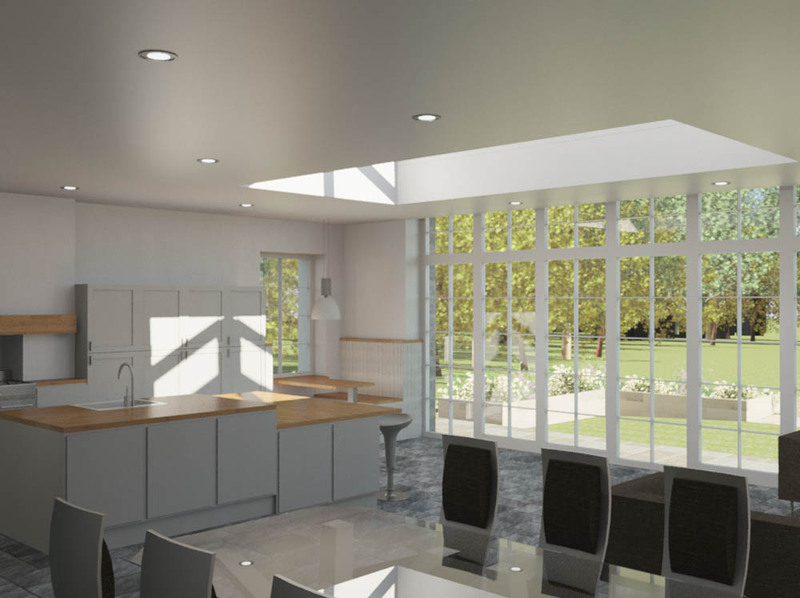 An outdated conservatory and dark kitchen were the main reasons for wanting to extend the property, with the aim being to create a large open plan Kitchen/Dining/Family area overlooking the stunning gardens. 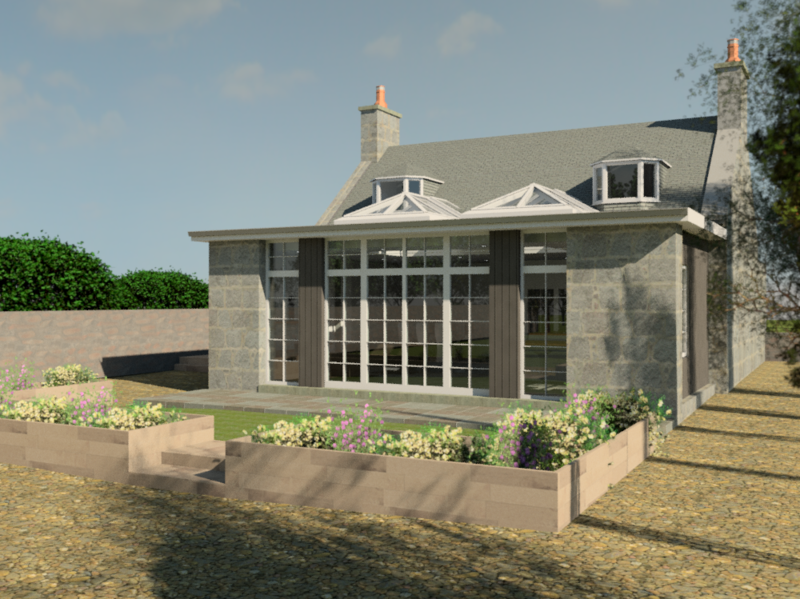 Working closely with the client, to ensure we catered to the brief, we produced various designs and visualisations to demonstrate the proposals. 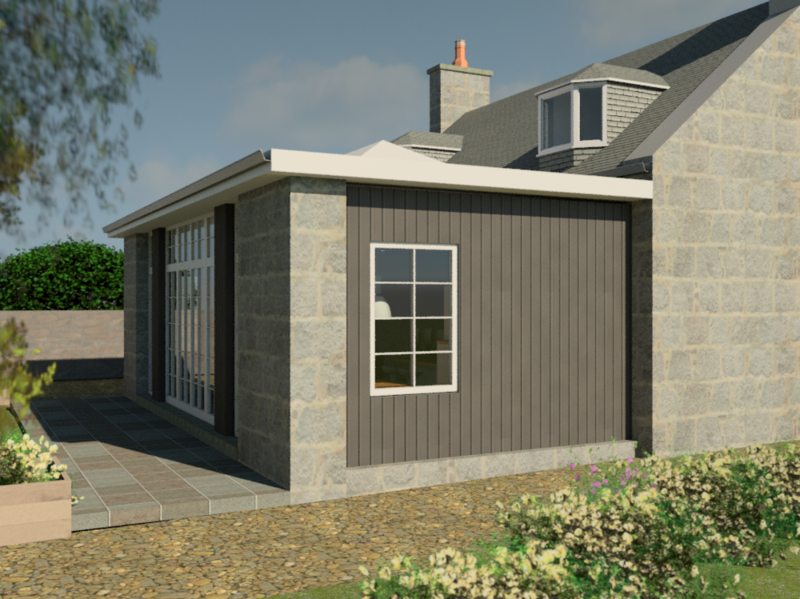 Once we had finalised the design and successfully negotiated the planning permission, we then moved onto the building warrant and tender stages. We worked with a structural engineer to create the large open space as well as providing cost information throughout, to ensure the affordability of the project. 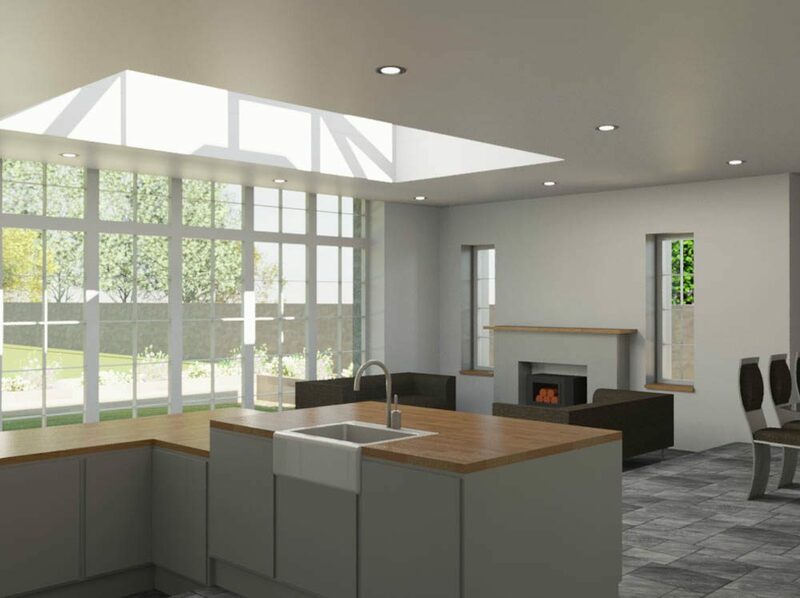 We worked with the client to specify the kitchen, glazing and underfloor heating elements.